UgoTrade | Preserving Tibetan Culture – A Digital Cultural Library For All. Major book scanning ventures are making the news a lot these days, especially, Google’s “moon shot” – their project to “scan every book ever published, and to make the full texts searchable. 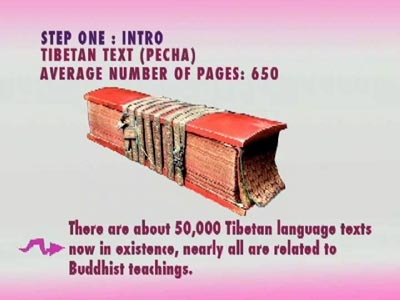 But, while Google has been focusing on how to scan and make searchable major Western collections, The Tibetan Buddhist Resource Center has been overcoming the challenges of scanning and formatting Tibetan pecha texts. The TBRC website, currently, features a large collection of digitalized Tibetan texts available as images on CDs and to universities on-line. TBRC addresses the inadequacies of Western methods of cataloguing through the use of a topical index, and a user-friendly search engine that provide a way to navigate through an immense body of Tibetan literature. TBRC has made 1782 distinct works (some have many volumes) available already.